What happened when I packed my life into a backpack and left home with a one-way ticket? Since then, I’ve lived in 3 continents, been to 14 countries, flew all around the globe, met hundreds of fascinating and inspiring people, burned thousands of calories lifting weights in gyms, ate amazing foods on the streets, cafes, restaurants and hotels, I’ve snorkelled, rode a boat, drove hundreds of kilometres on a scooter, chilled out on a paradise island, been in a relationship, seen dozens of temples, slept in a bungalow in a jungle, done numerous of interviews, grew my business but most important, I started to love the world and life more than ever before. Simply put, I’ve experienced and learned more than I ever could have if I have stayed at home. Today I’d like to share some lessons I’ve learned traveling and exploring the world with an average budget of $1000/month. I never thought I’d be homeless by choice, I never thought I would exchange financial security for freedom, I never thought I would become a writer, teacher, speaker, entrepreneur, I never thought of myself as a nomad, I never thought I would travel around the world while doing what I like but all these things happened in a year. I’ve had many misleading perceptions and beliefs that changed entirely while traveling and opened my eyes and changed my way of thinking. Simplifying my life and spreading the minimalist lifestyle has become my daily activity. Experiencing and collecting moments not things has made me happier than ever before, not having any physical possessions cause very little to no problems and leave my head fresh and empty. While I still do have some stuff which is a quality laptop for work, and phone for communication and camera, I don’t really try to get any fancy clothes or other things that would weigh me down and allow me to brag about these temporary belongings. Money-wise I am still in a transition from a freelancer to an entrepreneur, meaning that I still do work that exchanges my hours into dollars to sustain my lifestyle and fund my ventures such as Despreneur, Mobile Design Book and my upcoming book on habits. Staying at a startup or a design agency in London, Amsterdam or New York I’d be making way more money but would not have the freedom to do things that really excite and inspire me. I’ve learned to stop collecting things or saving money for things I don’t really need, chasing expensive toys is not for me anymore, I wish you could let go of that idea of collecting things that simply tie you to one place and make your life more messy and complex. All of my belongings fit into a simple backpack, I’ve never had less stuff in my life, but never felt richer in my life at the same time. Nothing is completely good or completely bad. I’ve learned to give up my ego and really stop, observe and think before judging something. There is no right or wrong, traveling to many places and meeting people have taught me that what is right in Europe might be completely wrong in Asia such as putting whitening cream on your skin in Asia and putting tanning cream in Europe. Driving 7 people on a scooter and a dog and numerous of shopping bags are completely OK in Southeast Asia while here in Europe driving alone in a car is acceptable. I came to a conclusion that being right is no longer my goal, because there is simply no such thing, better focus on understanding people and empathising to connect with them on a deeper level, just because you have certain beliefs or habits or traditions it doesn’t make you right. When I stopped fighting for being right all the time I became happier, things are the way they are and the only thing I can change about that is my attitude. Accepting things helped me to resonate with people, their values, stories and discover myself in a different perspective. A mandatory selfie with an ocean in the background for my freezing friends in Europe. 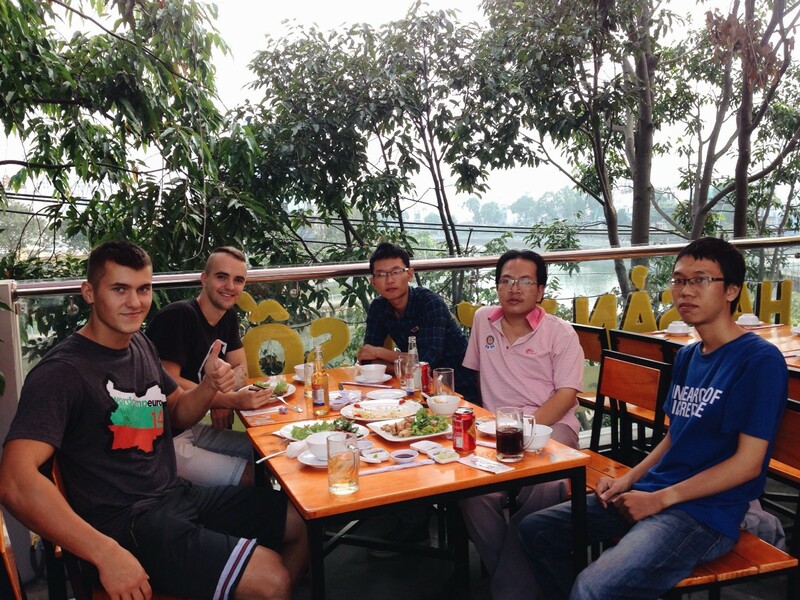 Jon Yongfook published a great article on his experience living and building a startup as a digital nomad for over a year. His target budget a month was $2000. But, Jon has worked in Singapore for a long time, has a lot of experience and connections so for a young Northern European boy like me it may look like a very unreachable goal at the beginning. I’ve been working in London for over a year making much more than that but it depends a lot on the context, as many other things in life, so it’s hard to expect that traveling around the world you will easily make the same money as working on site in a studio located in London. If you are like me when I’ve started my journey — little to no experience, little to no connections, enormous passion for traveling, thirst of adventures and courage of losing or winning it all, then read on. If you think there is a secret to cheap traveling and seeing the world on a tight budget, it must be a never-ending-planning. You can get amazing deals for flights, buses and trains as well as an accommodation if you book in advance. 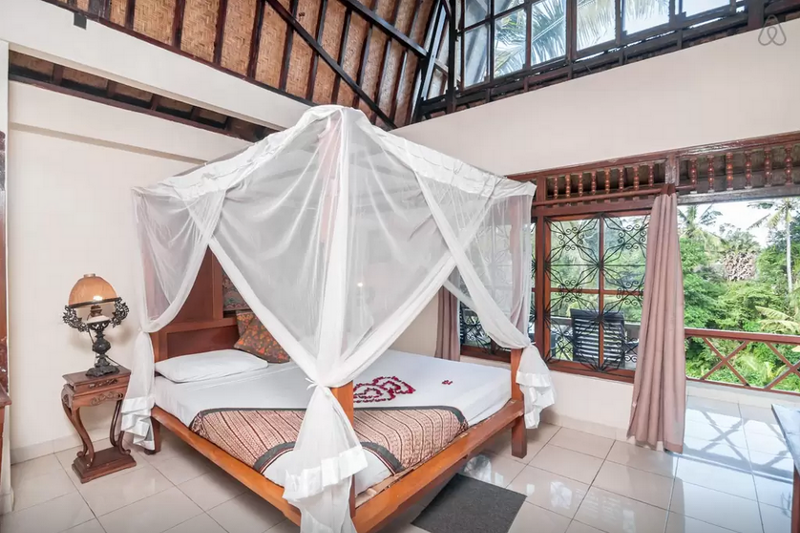 Browse Airbnb and book in advance to get the best deals. Get $25 credit for your first trip on Airbnb; if you are leaving, you can also rent out your own place and make money while traveling, I know a guy who lived in China entirely from renting out his flat in Vilnius, Lithuania. Below are flight search engines I’ve used to book cheap tickets to Dubai, Kuala Lumpur, Singapore, Bali, Ho Chi Minh, Los Angeles, New York, London and many other destinations. Pro tip: use incognito mode to avoid tracking cookies by airline companies and get cheaper flights. 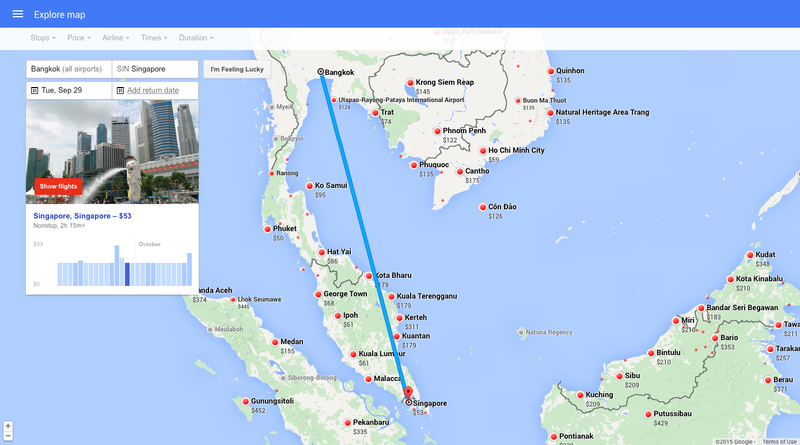 Google Flights is a handy tool for getting the “big picture” of the available flights. 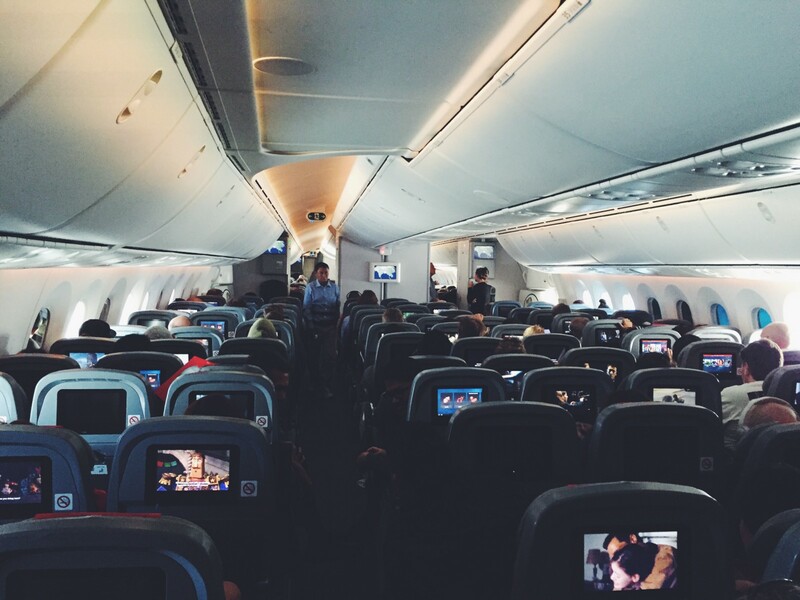 Google Flights — great tool for getting the “big picture” of the available flights. Momondo — another useful tool that scans various booking websites and looks for the best offers. JetRadar — this tool, very similar to Momondo scans numerous of airline websites to find the best deal for you. Actual ticket cost: $222 for a direct flight from Stockholm (ARN) to Bangkok (BKK). $222 for a flight to Bangkok from Stockholm with Norwegian. Try to get to one of these international/regional hubs like in Europe we have London that can fly you anywhere; New York or Los Angeles in the USA, in Southeast Asia it can be Kuala Lumpur, Singapore or Bangkok with cheap airlines like Tigerair, AirAsia, Jetstar you can fly pretty much anywhere for under $100, if you have flexible dates you’ll even fit under the $50/flight group. The most expensive flights are from one continent to another. I’ve paid $598 for a one-way ticket from Ho Chi Minh City (Vietnam) — Tokyo (Japan) — Los Angeles (USA). Domestic flights are pretty cheap, I’ve paid $61 for a roundtrip from Bangkok (DMK) — Chiang Mai (CMX) — Bangkok (DMK) with AirAsia. When booking a room or a flight, make sure to uncheck everything airlines and hotels try to offer you by default (e.g. hotel, airport pick-up, car, insurance, priority boarding, meals, reserved seat, SMS confirmation, etc.). 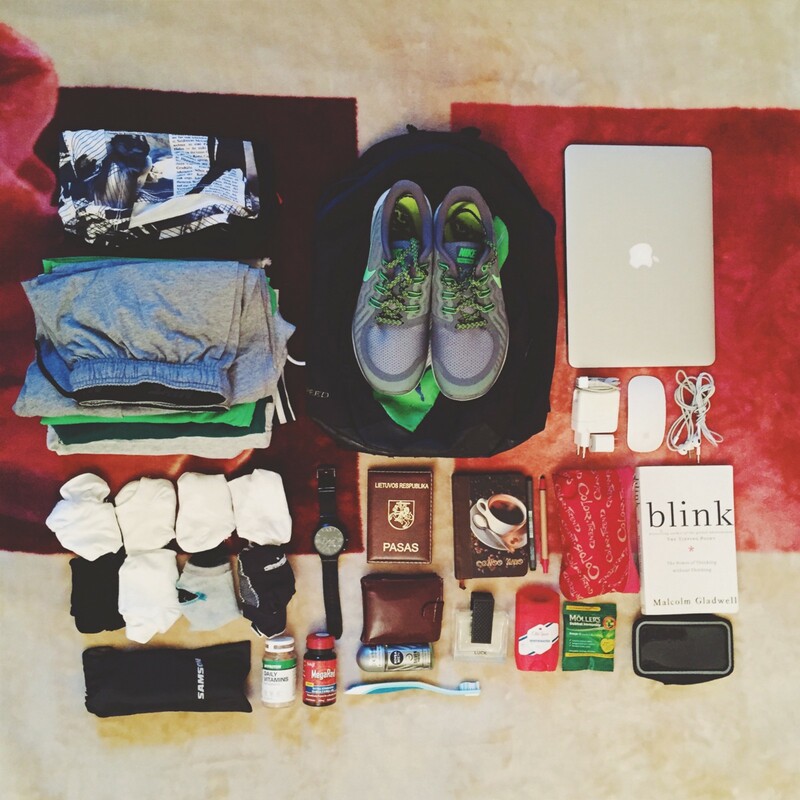 Everything I am packing for my next 9-month trip. I’m a light traveler. I prefer to pack little and have a luxury of mobility and flexibility. It’s better to have a budget to buy something in case you need rather than carrying a huge luggage with you. Note: when flying or taking a long haul bus or train trip, have a sarong or wear long-sleeved top and pants as you can get cold quickly. Always pack the most necessary things for you travels, earlier I’ve written a packing list for digital nomads, which has changed significantly as I have got rid of many things. I’ve already spent hundreds of dollars in fees for my bank providers in Lithuania and the United Kingdom. Lloyds bank seems to be the worst choice ever when traveling, charging me for every single transaction. Bank fees. You will not avoid these, especially if you are going to travel and work at the same time, meaning that you will be getting money and cashing it out in different places and ATMs. Be prepared for these and calculate how much cash you need, take the most available at a time. Departure fees. When traveling in Asia make sure to research your destinations so you can find out how much visa costs, are there any other fees like departure fee. Leaving any airport in Indonesia you have to pay a certain fee. Even though fees are not super high they don’t accept credit cards which means if you have spent all of your cash you will have to go to the airport’s ATM and take the cash out and pay the fees again. Government taxes. 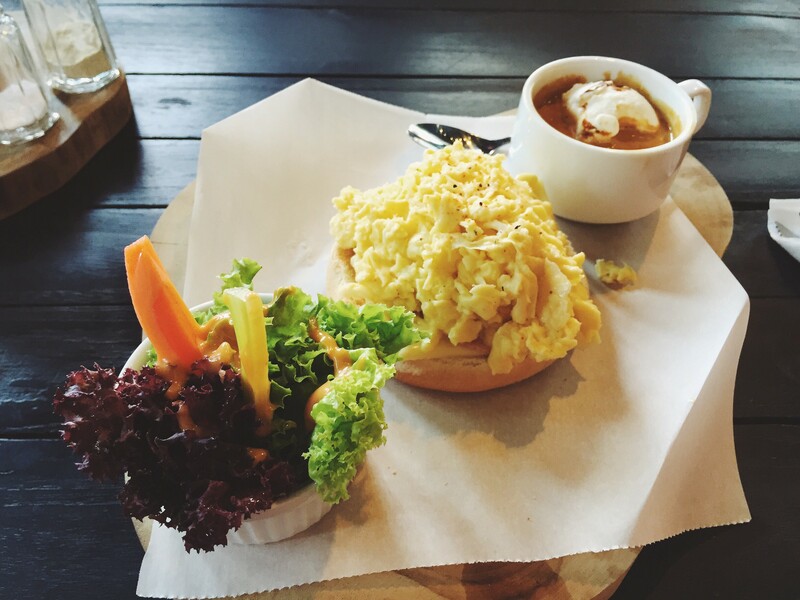 In some countries in Southeast Asia, cafes and restaurants usually do not include service tax or government tax, so be prepared to add 10–25% to your final bill. In some countries like Indonesia, foreigners pay a higher price for services like gym membership just because they are foreigners. Might look quite racist at the first glance but makes sense once you find out how low local income is, so everyone can afford it, fair enough. Hidden VAT. In the USA many places show price without the VAT tax, so if you go to a supermarket and see a nice T-shirt for $15 it will be around $18 at the end with the VAT, depending on the state you’re in. Seat reservations. In Europe many trains require a seat reservation, meaning that buying the ticket from A to B doesn’t guarantee that you are going there, you need to reserve a seat for an additional fee. Very annoying but avoidable if you jump on the train last minute and pretend not to speak English when the conductor comes. In the summer of 2013 I’ve traveled around the Europe with my best friend Justas Markus. We had an idea of where to go and what to see but mostly our route was developing on the way. What we have experienced was the ease of entering a new country, the European Union has made moving from country to country so easy that visiting 13 countries we have never had to show our documents when crossing the border unless it was a flight. In the USA, the Middle East, and Southeast Asia the story is totally different. Unless you are from one of the Asian countries like Singapore, Japan, South Korea, you will have a lot of hassle getting visas and paying for them. Most countries like Indonesia, Thailand, Philippines, Singapore issue visa on arrival for free or a fixed fee, depending where you come from, but some countries require an invitation letter from the country like Vietnam, other countries take couple of weeks to process the visa (India). Visa on arrival in Indonesia for 30 days costs $35, you can do one more month extension for the same fee by going to the immigration bureau. Visa on arrival in Thailand for 15 days costs 1000 baht (~$30), 60-day tourist visa costs the same and can be issued at your own country’s Thai embassy. Visa on arrival is free in Singapore, Philippines, Malaysia and allows you to stay from 30 to 90 days depending on the country. For more accurate information about visas check the table showing how many countries you can visit with your country passport. People are scared of going to new places because they don’t have home there. Finding accommodation on a budget might be really challenging in particular places, especially the ones loved by the tourists. To avoid high costs, choose places that are not in the area of touristic attractions and consider going in the low season. Below are some of the services I’ve used for finding an accommodation in different places in the world. Agoda lets you search hotels and hostels and offers very nice discounts, especially in Southeast Asia region. 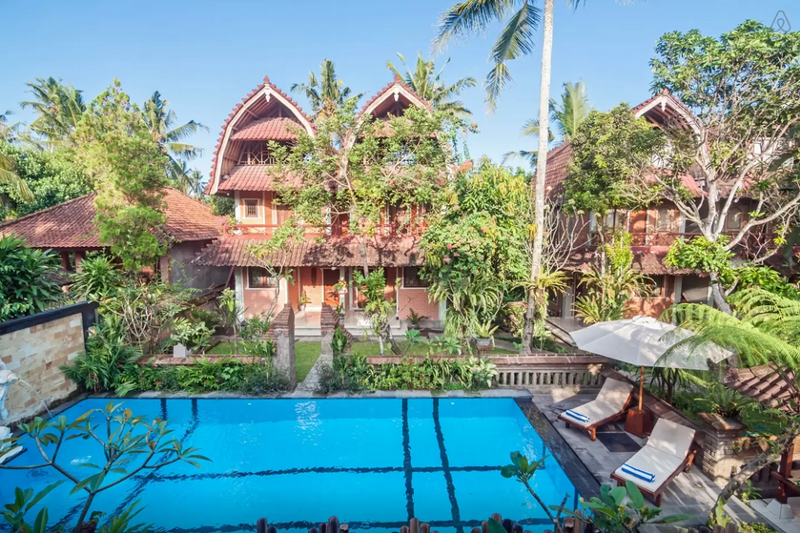 I loved using it in Bali, Kuala Lumpur and many places in Thailand as it shows prices with all the fees and service charges included as well as they don’t charge anything from your card, you just pay once you get there. Cancelation policy is super strict but if you certainly know you will stay there, it’s fine. However, check reviews and general ratings before making a final decision. 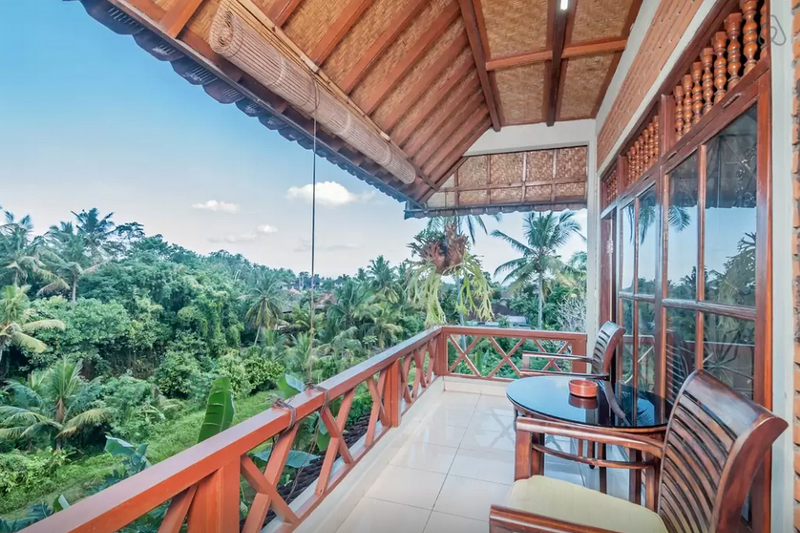 During the low season in Bali, Malaysia and Thailand Booking.com had some pretty cool deals for 30–60% off, including this 3-star resort with a breathtaking ocean view. I’ve never used it in the USA or Asia to find an accommodation, but it worked for me and Justas couple of times in Europe and the Middle East (Dubai, UAE). It’s a great tool to meet up with locals, though. I’ve met so many cool people and travelers at the Couchsurfing meetup in Budapest, Hungary. It’s a cool service that connects locals renting their place with short or long-term travelers. Airbnb gets pretty expensive on high seasons and especially if you stay a night or two in one place and then book another one as fees add up quickly. Typical Balinese breakfast, Nasi Goreng with Sate Ayam. What I do is simply set the rent duration to a month and get a special monthly price which has a better value and can get you places with swimming pool, breakfast included, free coffee/tea and room service every single day for $405/month. Gunung Merta Bungalows in Ubud, Bali, Indonesia. Chilling by the pool in Ubud, Bali, Indonesia. If you have never used Airbnb, I highly recommend you to try it, use this link to get $25 for your first stay. Taxi costs around $0.17/km what makes it very affordable to go even longer distances. One of the best thing about traveling is food unless you don’t like to eat. Trying out new food in different countries is extremely exciting, however not always end up very well, too sweet, too sour, too spicy, too stinky. Anyway, food in Thailand, Bali, Singapore is incredible. I just love everything I get there. And it’s also very cheap, eating out is cheaper than cooking by yourself and it saves you time buying groceries, storing food, preparing it and cleaning up afterward. 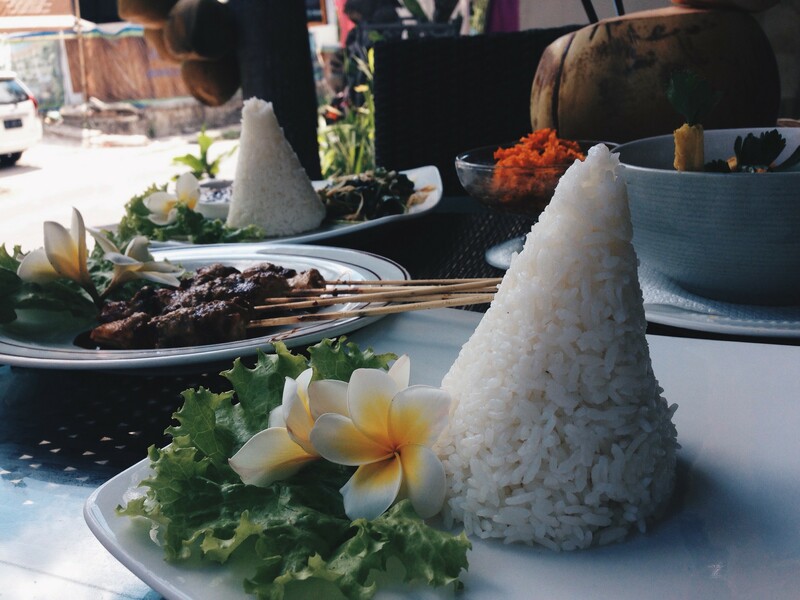 A simple meal in Bali, Thailand, Vietnam can cost you from $1 to $3 depending on the place. Sate Ayam, chicken satay with rice in Ubud, Bali, Indonesia. 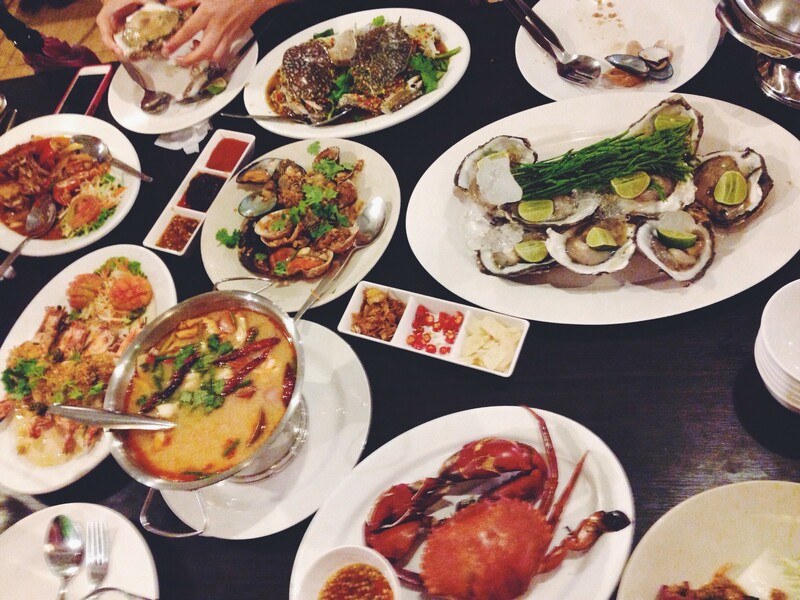 Sea food feast in Krabi, Thailand. 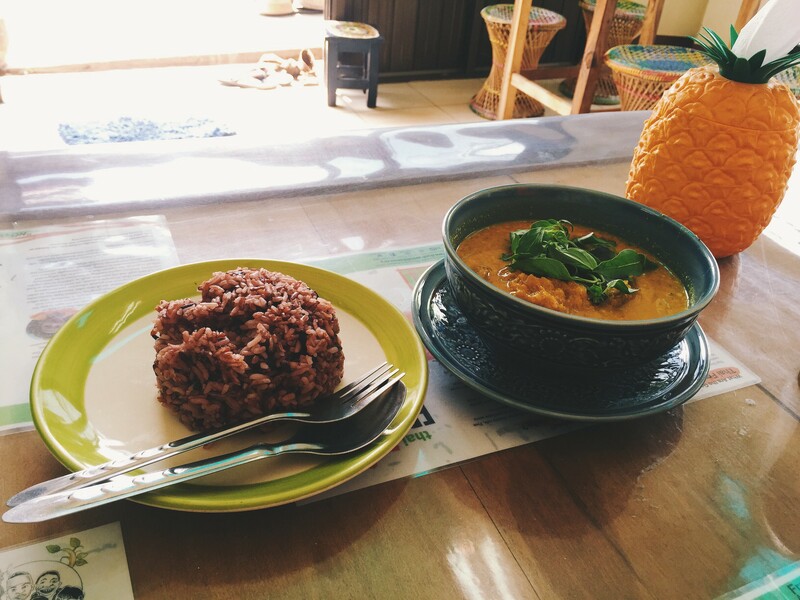 Delicious vegan food in Chiang Mai, Thailand. 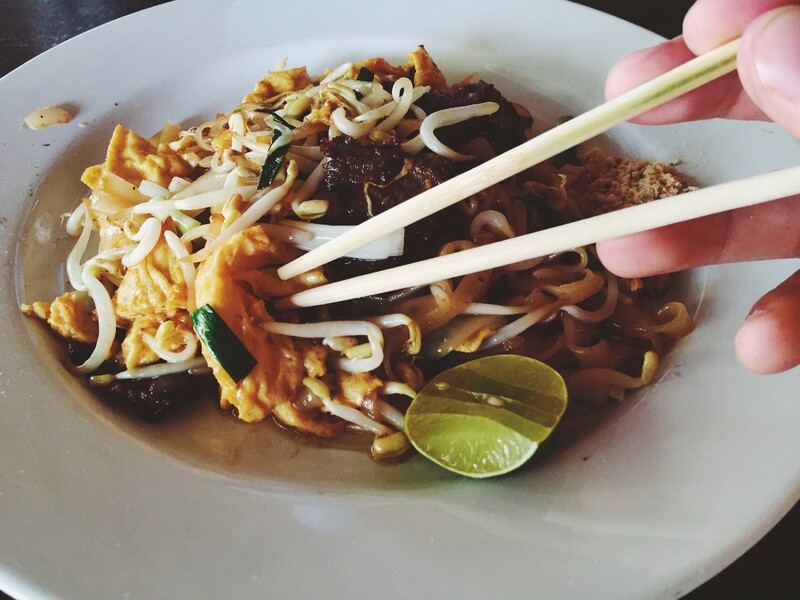 Pad Thai in Koh Lanta, Thailand. Light breakfast in Penang, Malaysia. Kopi Luwak is a part-digested coffee cherries eaten and defecated by the Asian palm civet. It’s the most expensive coffee in the world. 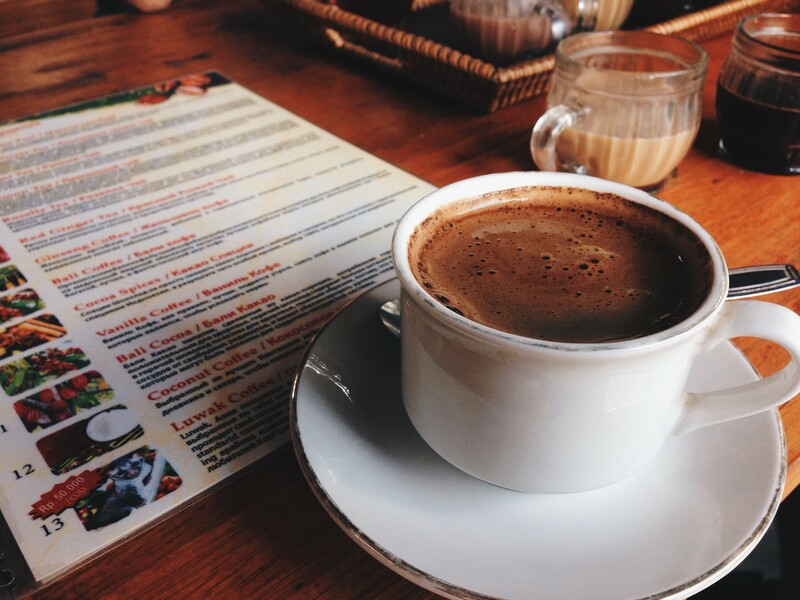 My cup of coffee in Bali, Indonesia. 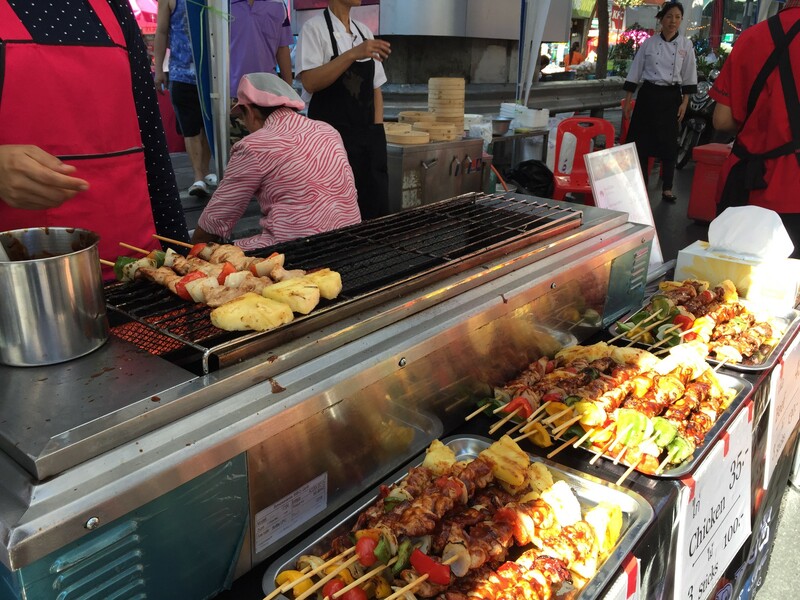 Street food in Bangkok, Thailand. 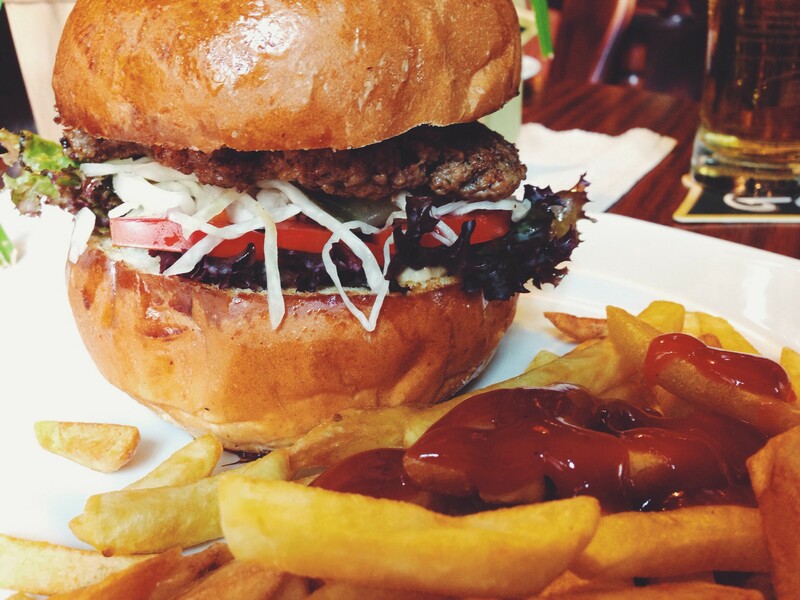 Killer burger on my cheat day in Budapest, Hungary. When traveling to cheaper countries in Eastern Europe, Southeast Asia, take advantage of eating out as it will conserve a lot of willpower that needs to be spent on cooking. In more expensive countries like most of the Europe, the United States or more developed countries in Asia like Singapore, Malaysia, Japan can be very expensive to eat out. If you have a tight budget, get some groceries at a local store and cook at home, if you want to try local food, make new friends and exchange dinners. 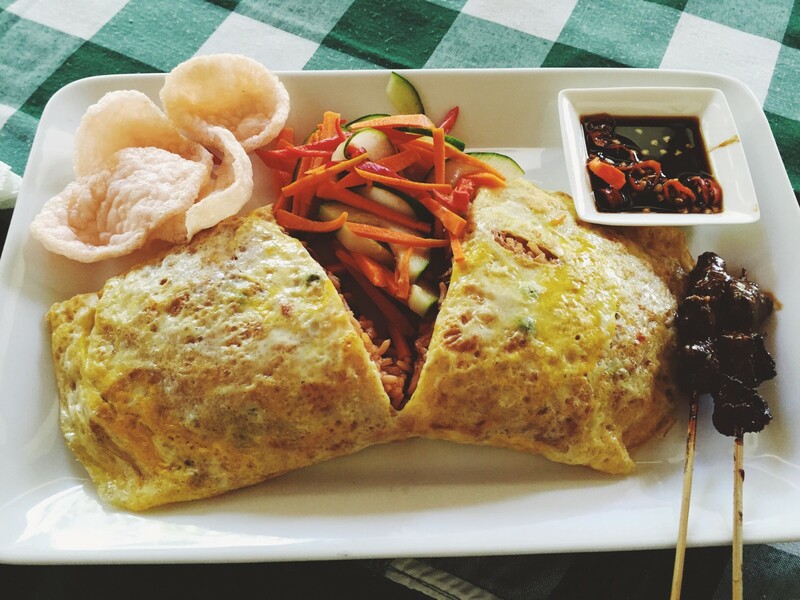 On weekends or special occasions treat yourself with a dinner or lunch at a restaurant trying out local meals. Exercising for me personally is the best way to maintain a healthy happiness level and have a feeling of achievement at the end of the day. It improves the sleep quality, allows quick adjustment to the environment and clears my head. I’ve been regularly exercising for around 14 years now and hitting the gym or going for a run has been one of the daily activities while traveling around the world. Playing basketball at the Green School in Bali, Indonesia. 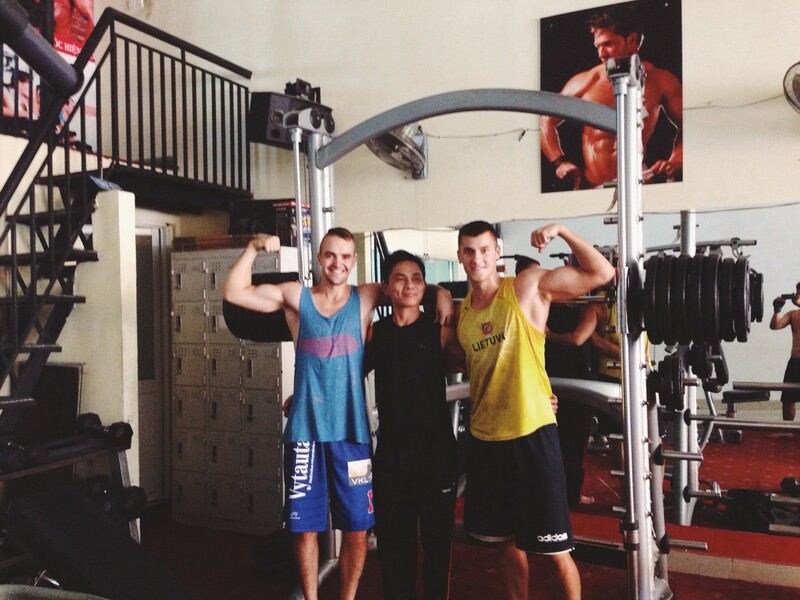 Regular session at the gym in Singapore. You should exercise no matter what kind of lifestyle you have or where you live, it has enormous benefits for your body as well as mentioned psychological benefits. Simply find something you really enjoy, whether it’s running, swimming, yoga, martial arts, body weight exercises, anything works as long as you break a sweat. Your mind is the limit, what your mind believes your body can achieve, if you are totally exhausted and you command yourself to do 10 pushups it will be definitely hard but if you truly believe it, picture yourself doing it, eventually you’ll find the energy and willpower to do it. Finding a gym is quite hard and can get pretty expensive if you’re staying short-term. For that reason use Foursquare to find local gyms near you, even if it’s 2–3 km away from you, you have a chance to do a light warm-up and run to the place. 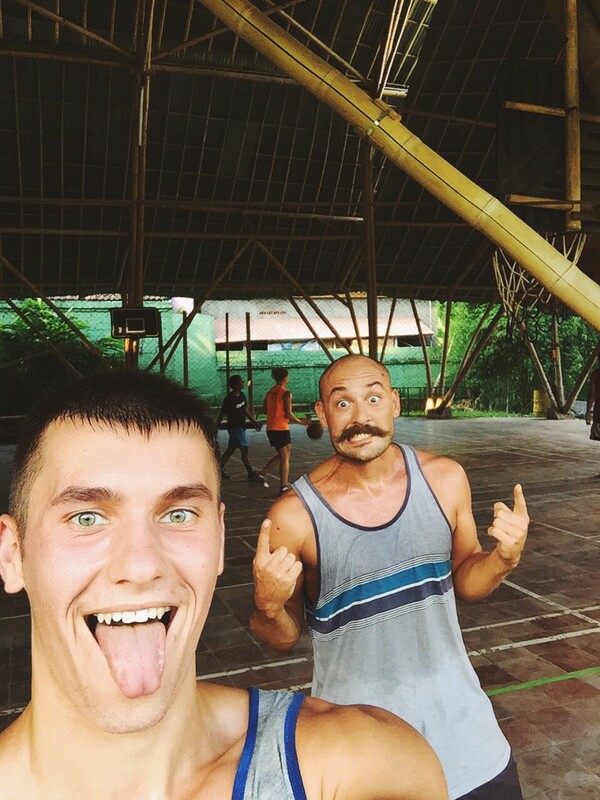 Christmas day workout in Ho Chi Minh City, Vietnam. To get better deals at local gyms, always negotiate, no matter where you go, always ask for a discount or a special offer. If that doesn’t work, google coupons for gyms in that area, or use deal websites like Groupon (I’ve got a 1-month membership at Gold’s Gym in Downtown Los Angeles for $19.99/month). 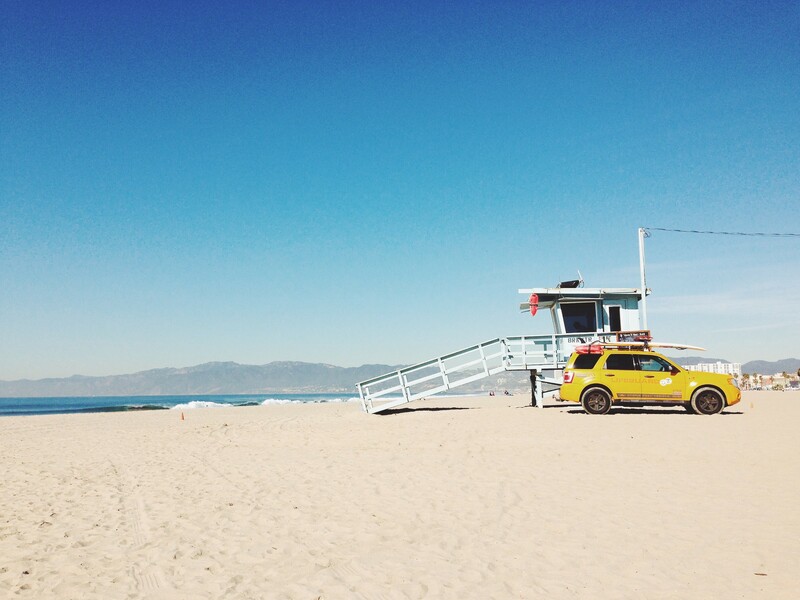 The iconic Santa Monica beach in Los Angeles, California, USA. 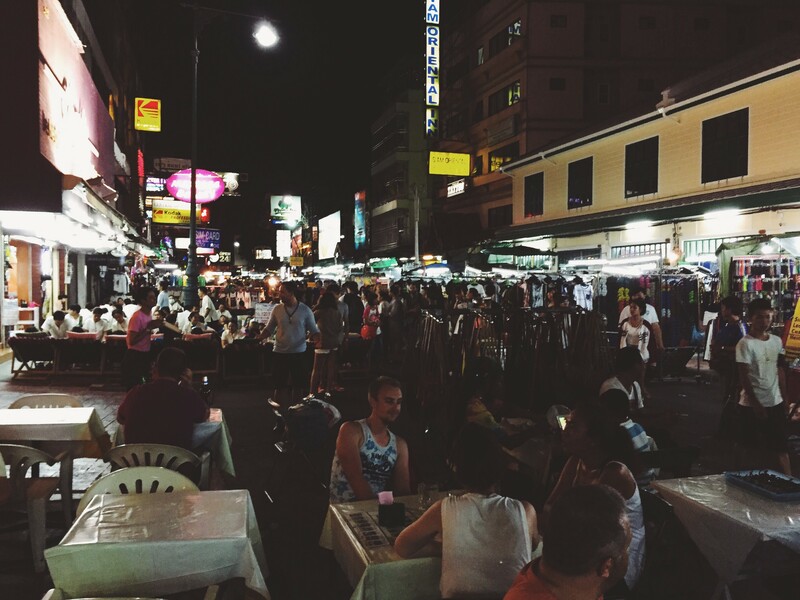 Partying at the Khaosan Road in Bangkok, Thailand. 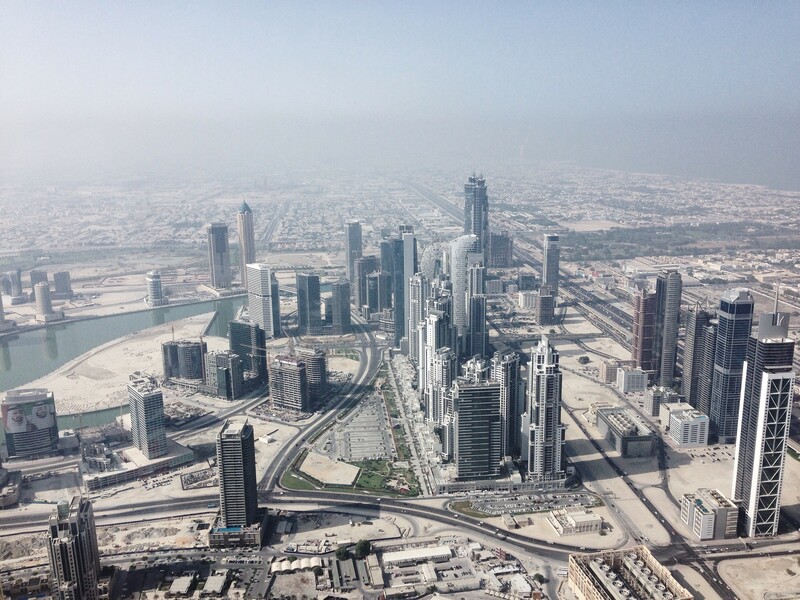 Dubai from the observation deck of the tallest building in the world, Burj Khalifa in Dubai, UAE. 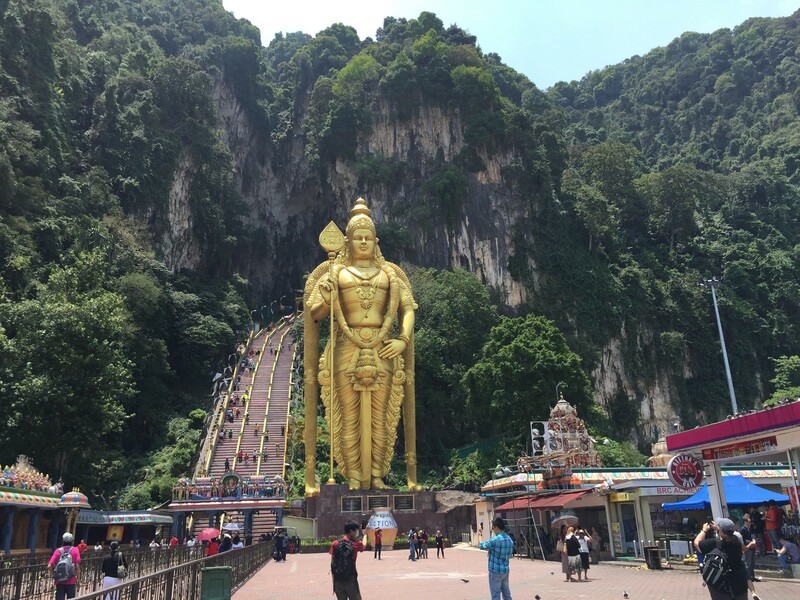 Batu Caves in Kuala Lumpur, Malaysia. 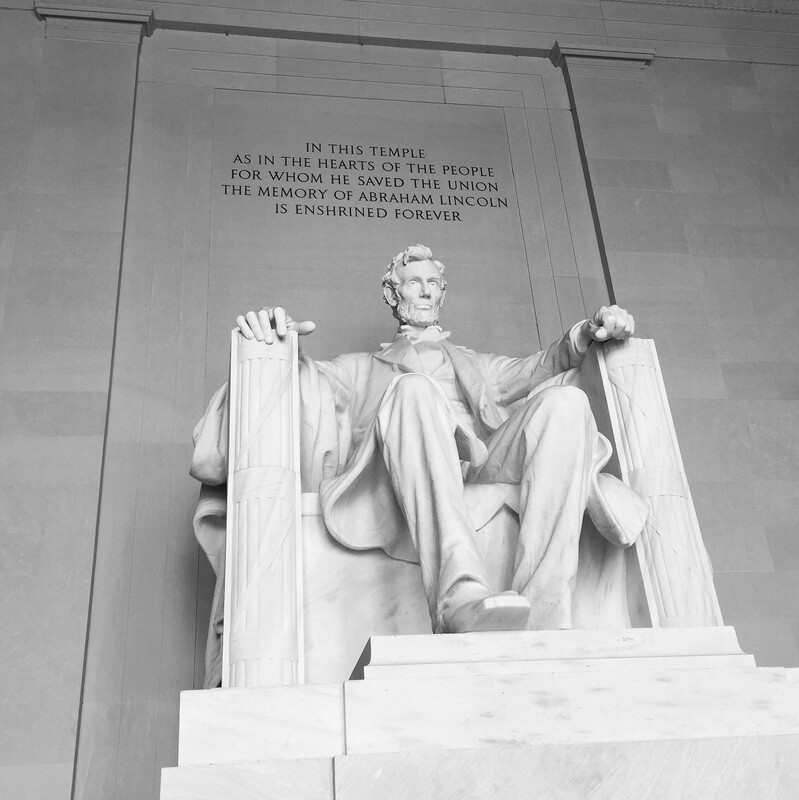 Lincoln Memorial in Washington DC, USA. 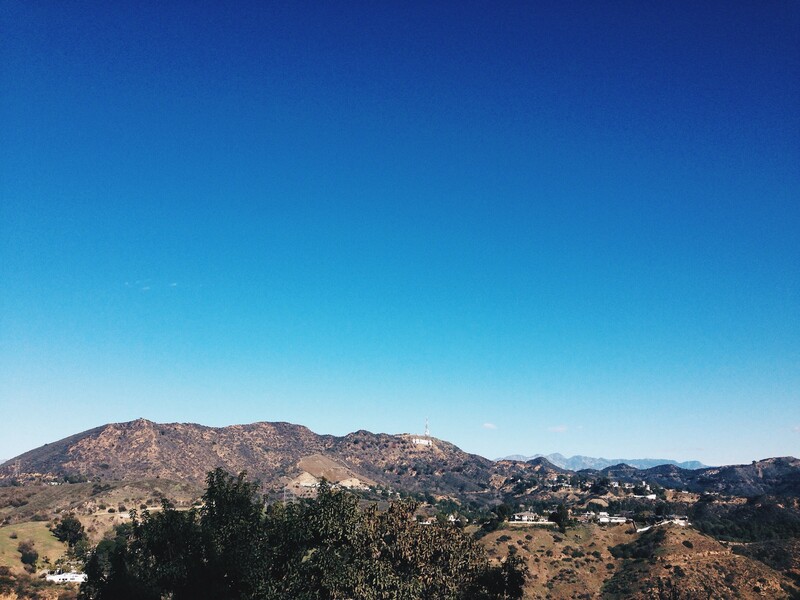 The Hollywood Hills in Los Angeles, California, USA. 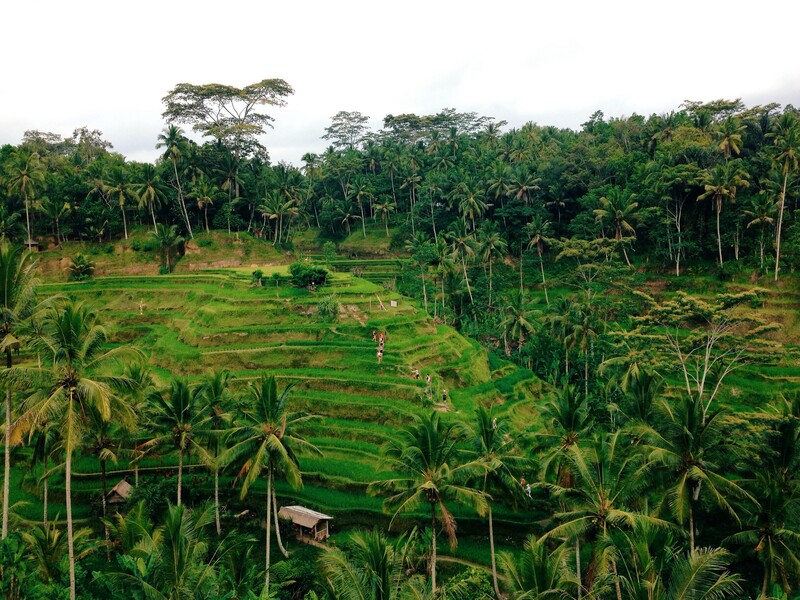 Tegalalang rice terrace near Ubud, Bali, Indonesia. 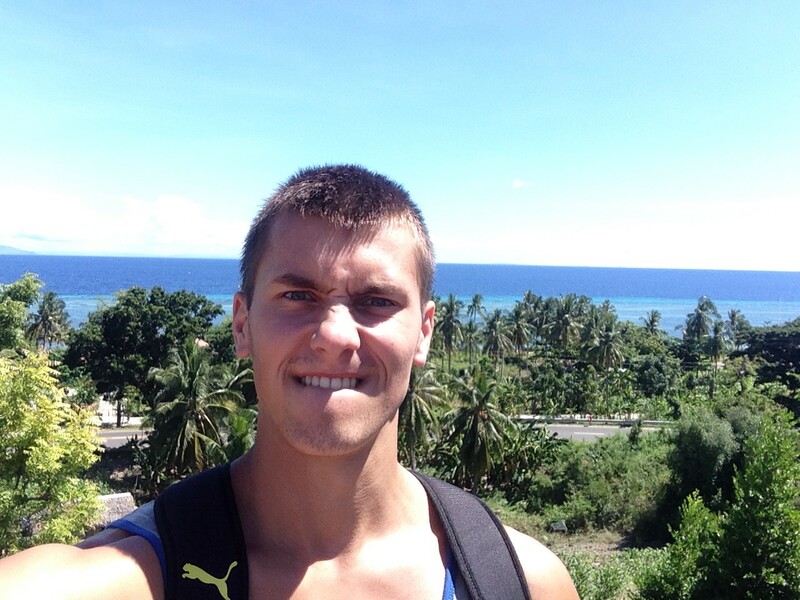 Chilling on the Gili Air island in Indonesia. 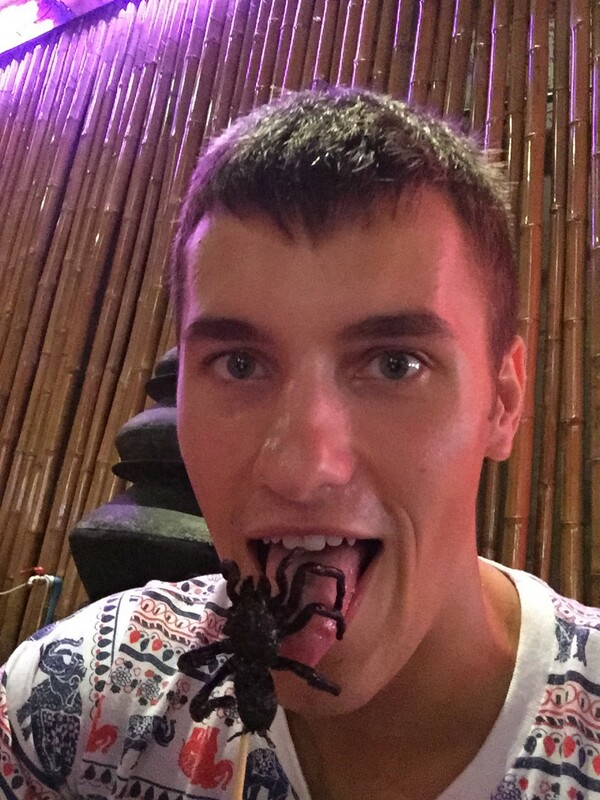 Eating a huge spider at Khaosan Road in Bangkok, Thailand. Traveling is generally entertaining experience but you can make it even better by visiting local clubs, pubs, bars, concerts, exhibitions, sport games, cinemas, hiking spots, city tours, and other touristic stuff. Once again, do a quick research and find what people are talking about in a certain area. 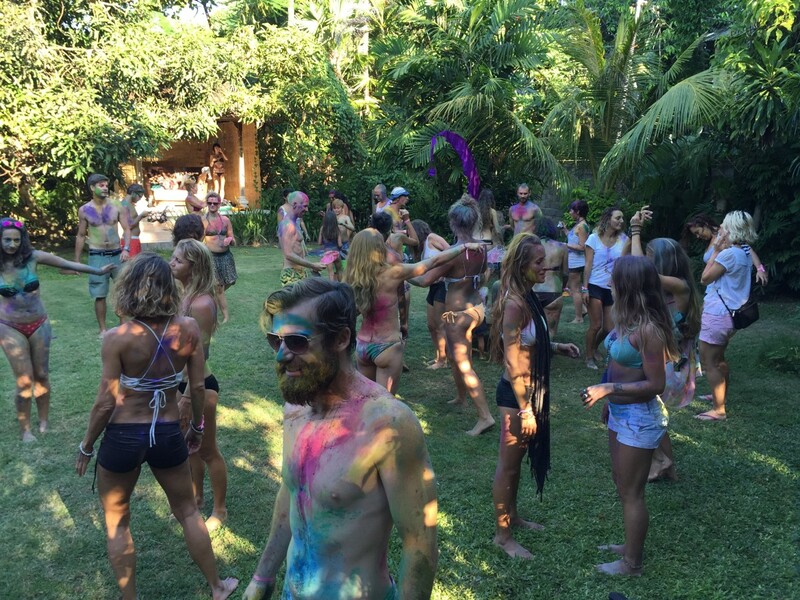 Personally, I prefer to immerse myself in fewer activities and get a deeper understanding of culture and people, rather than seeing everything on a surface level. I recommend checking guides on Nomad List, checking traveling communities like TripAdvisor, Lonely Planet, and Travelfish. Traveling and just seeing places gets pretty boring after some time (I’ve been there, done that). Missing out on meeting new people and making friends is a complete failure of traveling in general. At the very beginning it is very scary because you are in a new place, you don’t know the language, history, traditions, but you will be surprised if you start a conversation with a stranger. I’ve made hundreds of friends throughout my travels and now coming back to one or another country I have someone I know to ask out for a coffee. Meeting people all around the world, Ubud, New York, Ho Chi Minh City, Sanur. If you are more introverted you will find it very difficult and alienating to make new connections. However, nowadays our technology is bridging the gap between you and incredible people you want to meet. 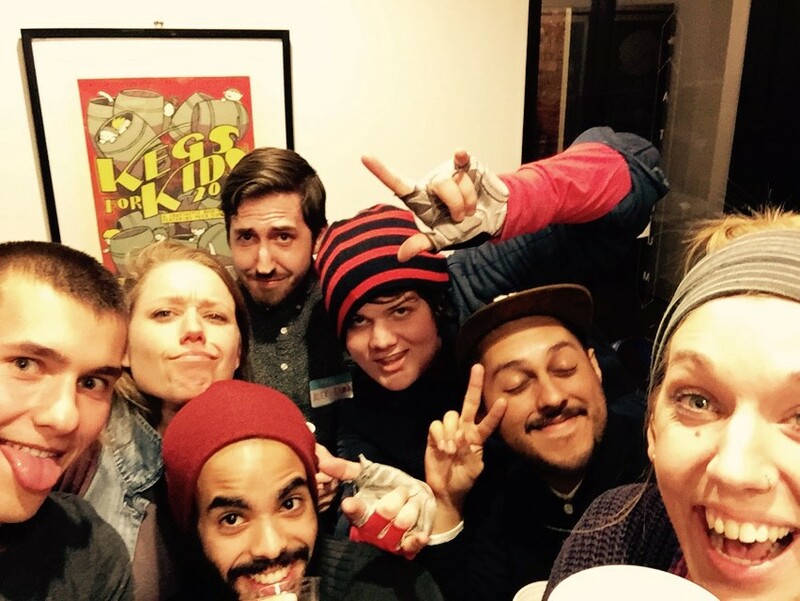 I’ve been meeting people in the bars, cafes, co-working spaces, conferences, tech events and meetups. Some of the platforms I’ve been using lately: Startuptravels, Meetup, Couchsurfing, Startup Weekend, Twitter, Facebook groups. 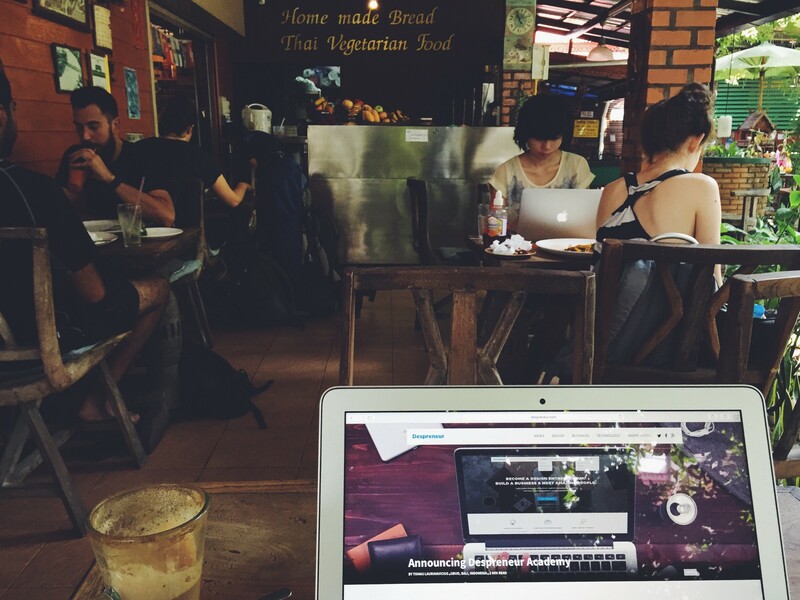 When I heard the term “digital nomad” I didn’t really understand what it meant. However, following people like Pieter Levels, Jon Yongfook, Noel Tock and Jacob Laukaitis, I’ve started to develop a taste of how cool and challenging this lifestyle can be. If you truly want to change your lifestyle and find ways to redesign your life, make sure to find these indirect mentors that share everything and inspire you to move forward. 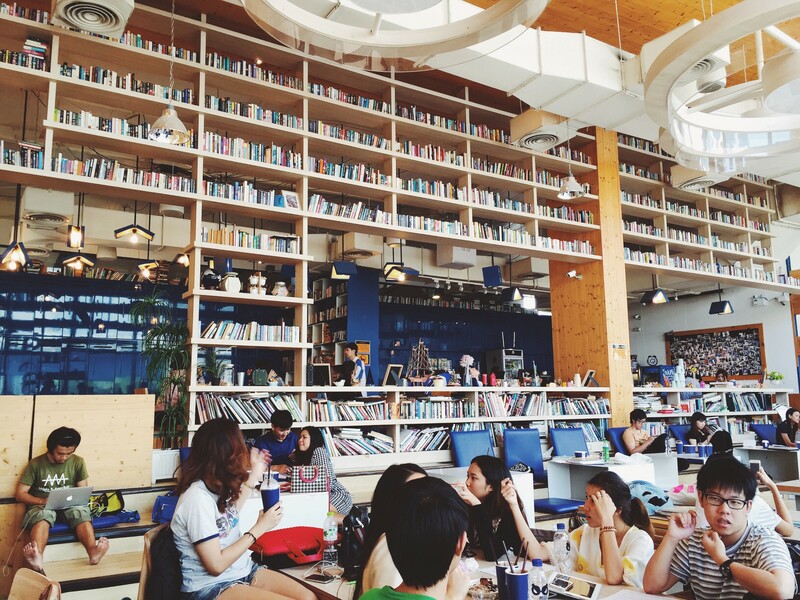 Digital nomad lifestyle brings you anywhere, “Too fast to sleep”, 24/7/365 open library and a coffee shop for example. 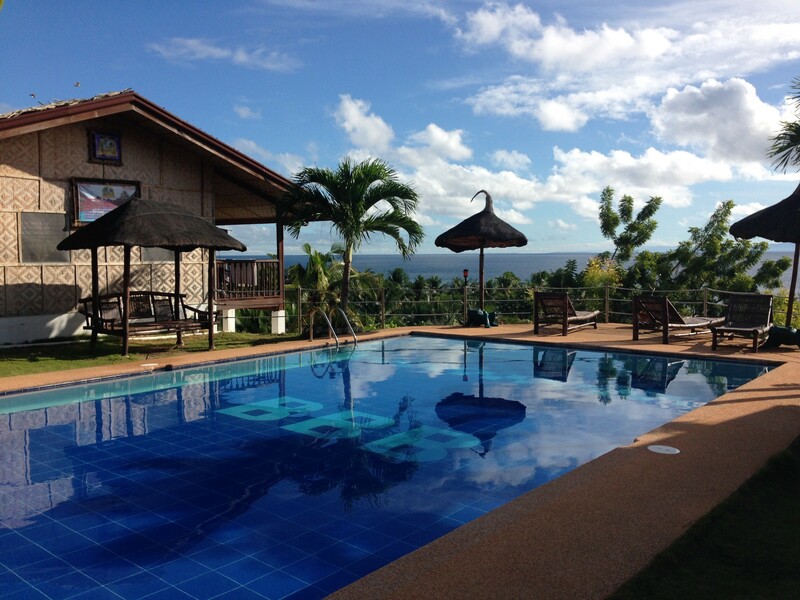 Once you become a digital nomad, you can work from anywhere, including this resort in Alcoy, the Philippines. If you are looking for some blogs and publications to fire up your wanderlust check out Condé Nast Traveler, TraveListly, BucketListly, Nomad List, Made in Moments, What’s It Like. My smartphone is one of the most useful traveling companion with all the apps available. I’ve already mentioned a couple of apps in this article, but I’d like to list some more that are enormously valuable while on the road. Google Maps — great for getting around, enter your destination on the map, check the area and load the map before leaving so you can have an interactive map once you’re offline. Airbnb — look for accommodation while sitting in a cafe, restaurant or some other place with WiFi. Great for quick messaging with your hosts. Hostelworld — Another valuable app to have when you’re looking for a place to crash, cheapest hostels on your phone screen. Foursquare — discover new places like restaurants, cafes, gyms, hotels, museums and much more. 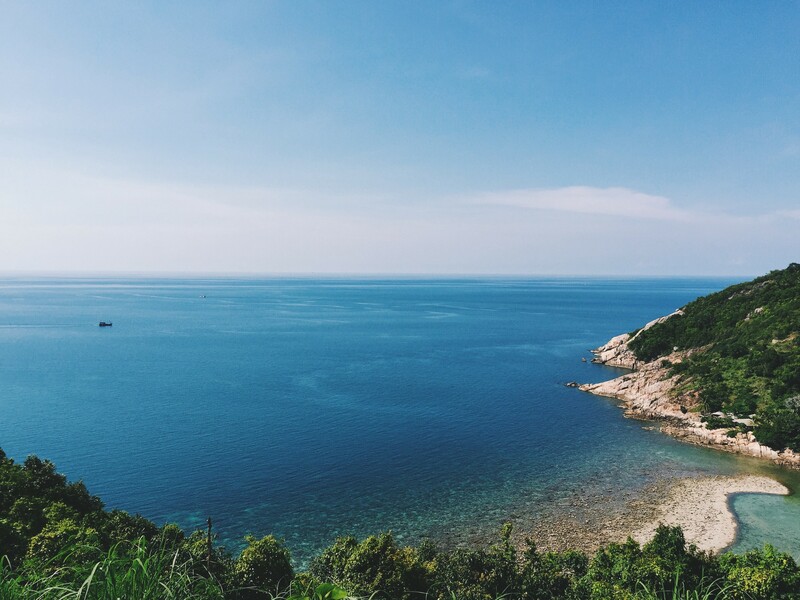 Instagram — share your experiences and get inspired by following other travelers. Google Translate — can’t explain where you want to go? use this app to translate your thoughts into a local language. PayPal — get paid while, on the road, most of the airlines and hotels accept PayPal as a payment method. Gmail — pretty self-explanatory, check your email on your smartphone wherever you go. For more useful apps for digital nomads, check this compilation on TurnPoint. Traveling the world might get pretty expensive so you either need to save money or find a way to make money. Last year I’ve shared some ideas for saving, acquiring new skills and finding remote jobs as well as becoming a freelancer. As I’ve mentioned I am currently in the transition from being a freelancer to becoming an entrepreneur, meaning I still exchange my hours into money, mostly doing freelance writing and designing. Typical digital nomad workspace. LineupHub in Seminyak, Bali, Indonesia. 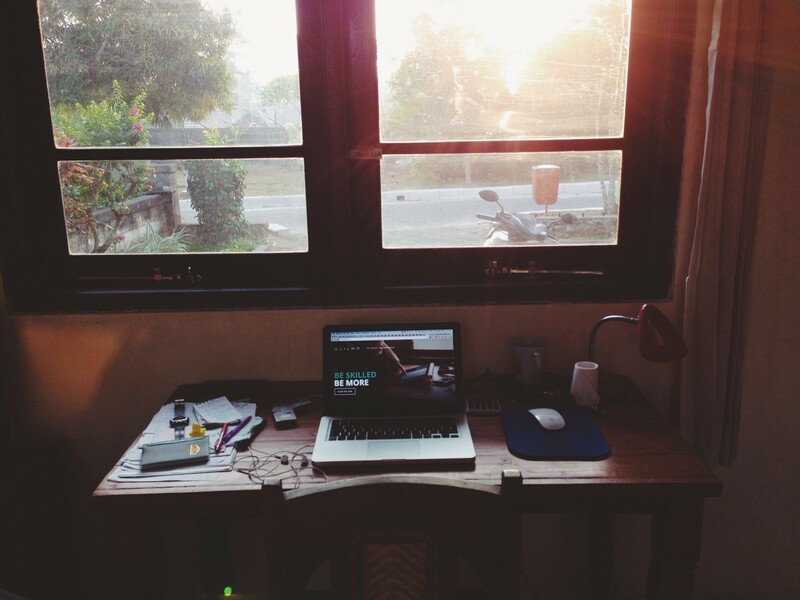 Working from a little house in South Kuta, Bali, Indonesia. 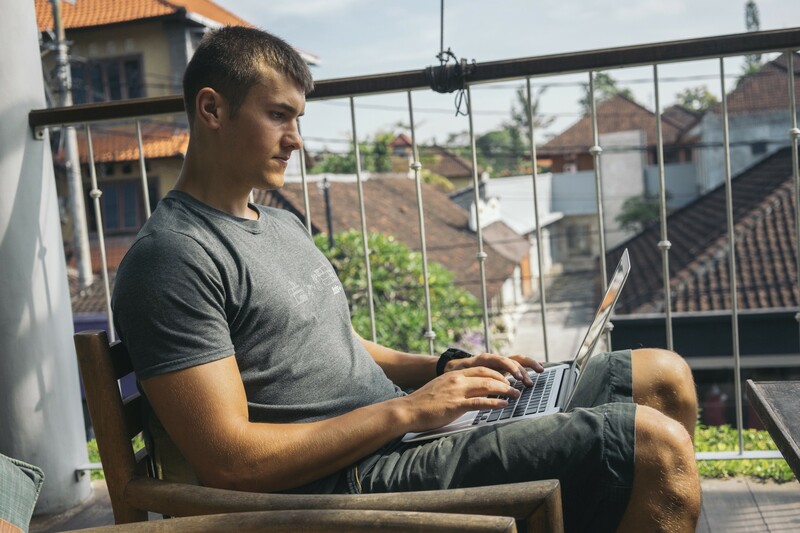 Below are some examples of options available for digital nomads. Blogging. Depending on the field you can earn $20–500/post, if you are non-native English speaker you may need to practice writing for some time to reach a certain level and expertise but believe me, if you really want to become a writer, just write and you will get there. Programming. Programmers tend to get very good money, but it’s pretty difficult to reach a level that guarantees you loads of work and quality clients. If you want to learn a programming language and make a living, it may take you a couple of years but programmers can get paid a top dollar depending on the skill-set and experience. Designing. User experience design, user interface design, graphic design. There are active communities and blogs that can teach you design if you want. Freelance job boards are full of jobs, but it’s not as easy as it may look, to become a great designer you need to practice a lot, get some quality clients and build up your reputation. It may take from a couple of months to a year. Recently I’ve released a course on learning web design and starting your freelance business, that you can get for $9 (normal price is $50). Social media management. If you have great people skills and love social media, you might want to learn more about online marketing, growth hacking, and community management to find a remote social media position. Editing. If you are good in languages and writing, consider becoming a freelance editor. Blogs, magazines, startups, corporations are creating content to find new customers. The market is huge and all of them are in need of an editor (I am looking for an editor too, let me know if you’re interested in working with me). Translating. Speak more than one language? Chances are people need to translate something for either personal or professional needs. Consider becoming a freelance translator. Once you become a freelancer or find a remote job you will most likely need a laptop and internet connection to get the job done. Once you hit the road there are numerous of options to work from. You can work from your room or apartment rented via Airbnb, you can use your hotel room or lounge area, cafes, restaurants, libraries and specifically for work designed co-working spaces with fast WiFi, like-minded people and other benefits like AC, coffee, kitchen, and events. I am currently editing this article in a library/cafe in Bangkok. 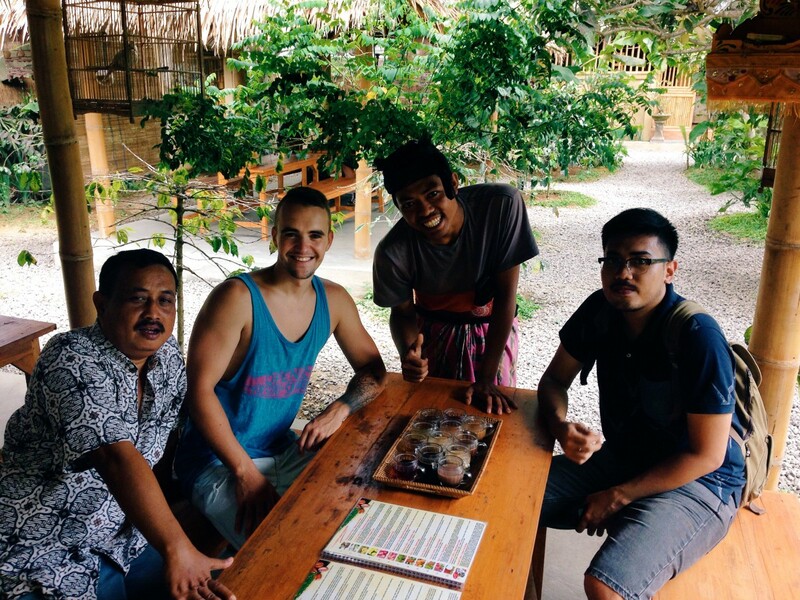 Working from a restaurant in Ubud, Bali, Indonesia. 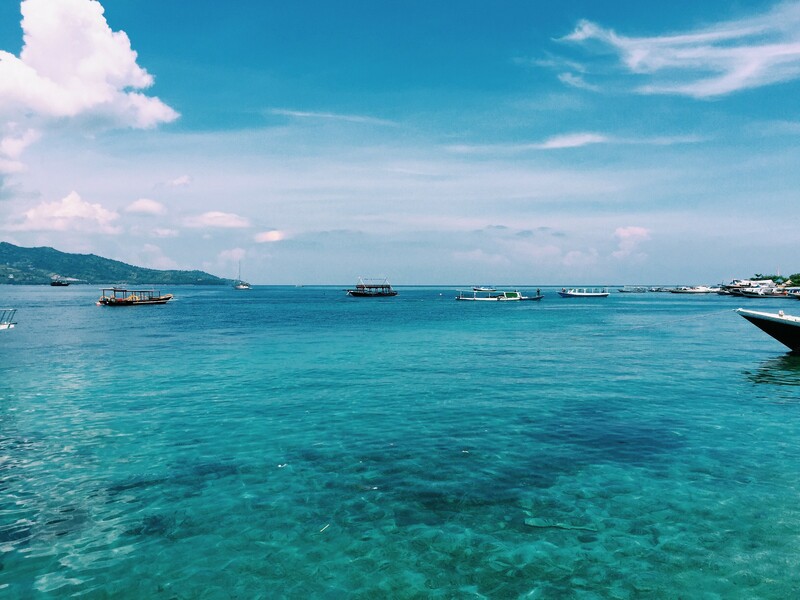 The SEA co-working space in Phuket, Thailand. Usual nomad’s workspace, a café in Chiang Mai, Thailand. You can easily find a convenient place to get the job done by simply googling or using before mentioned Foursquare. 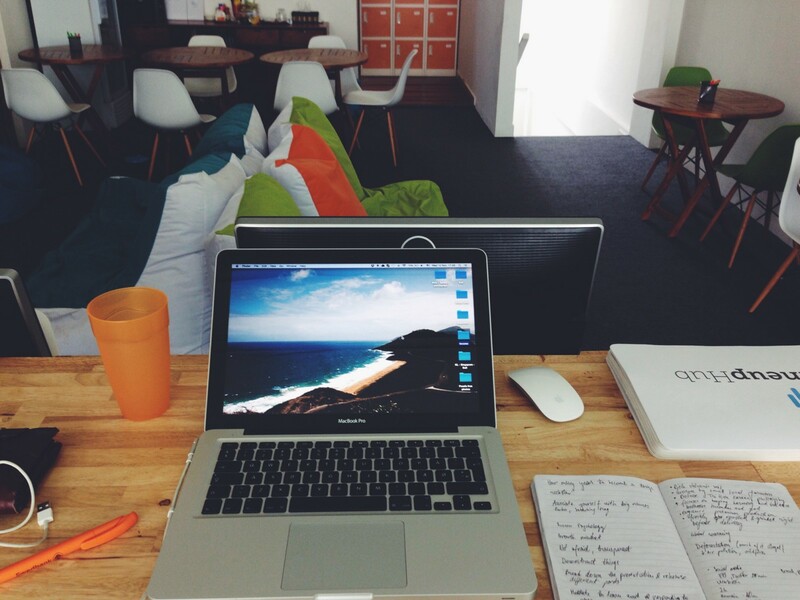 Some other handy websites are Workfrom, Nomad List for finding a coworking space. 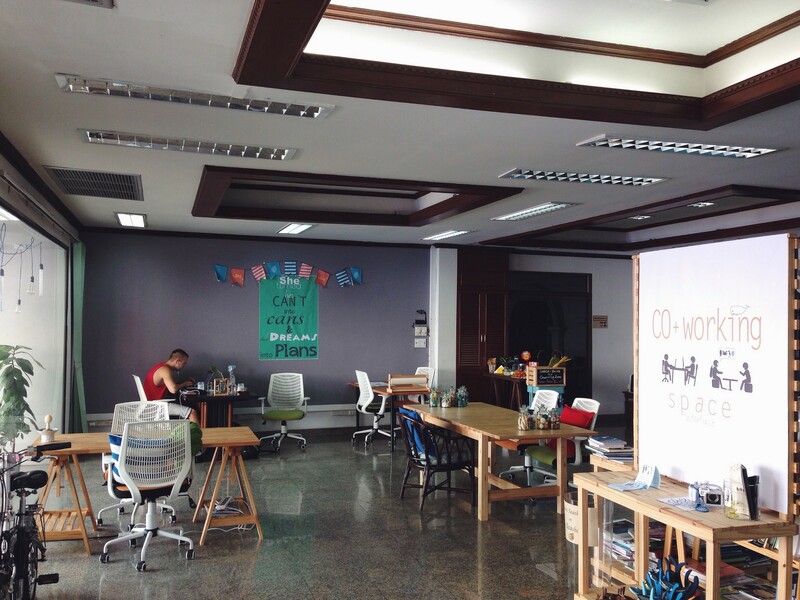 Check 10 hottest hubs and co-working spaces in Southeast Asia. You will find yourself. You will discover what is your life purpose is. You will see the good and the bad, and the main difference between these two. You will enjoy every single day. You will live in the moment. You will appreciate real people. You will experience love, for yourself, for the world, family, friends, a stranger next to you, love for being alive. You will learn about the world, about many things that scared you. You will become stronger, more confident, more alive, energised to become the greatest, you will want to create more, you will be more mindful, you will be more aware of the world around you, you will start making solutions to problems, you will realise that it’s not about you, you will give more than you take, you will be happy with what you have, you will expect nothing and appreciate everything. Subscribe to my email list for more inspiring stories. I hope you’ve enjoyed my story. Please share it with your friends and let me know if you have any questions about becoming independent and designing your own lifestyle.